Street lamps are needed in residential and commercial areas to make them safe at night. However, the tens of thousands of lights spread throughout cities create an enormous drain on government budgets, accounting for almost half of all energy consumed. Thankfully, LEDs present a cheaper, more environmentally friendly alternative, but their advantages and disadvantages have become subjects of much discussion. • Low energy use – healthier for the environment. • Durable – less maintenance. • Controllability – easier to dim, turn on and off and put into energy-saving mode. 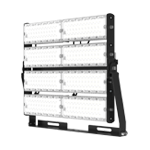 However, because LEDs are relatively new on the scene, there are many misconceptions about their performance and value. Here are some popular myths about LED street lighting, as well as the facts that dispel them. LED street lamps are too bright, or not bright enough? One of the main criticisms of LED street lamps is that they are too bright, or else they don’t provide enough light for well-populated areas. On the contrary, LEDs emit the same amount of light as incandescent and fluorescent bulbs. The only difference is that they use far less energy. 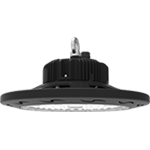 What’s more, one of the main LED street lighting advantages is that bulbs are dimmable according to the time of day. Therefore, during the hours when most people are sleeping, street lamps will produce less light so as not to be disruptive. It’s also possible to choose lighting types that mimic natural sunlight (as many cities do), which is far less intrusive and better for human health. LEDs are too expensive. It’s best to wait for the price to drop? 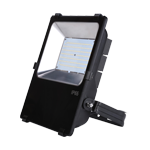 Although the upfront cost of an LED street lamp is higher than a traditional light bulb, using them will be better for the economy in the long run. 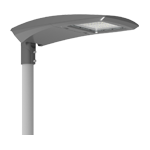 Due to fewer running costs, less maintenance and longer lifespan, the initial price of an LED street lamp is more than paid back over the course of its life. While the price of an LED bulb is lower than it was five years ago, the significant price drops allowing LED bulbs to be bought and used on a daily basis have already happened. 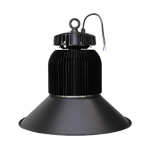 Therefore, waiting to install LEDs will only cost more money in the long term – $147 per fixture to be precise. LEDs aren’t like traditional vacuum tube bulbs. In lay terms, they are “chips” that will only improve in performance over time. Right now, LED bulbs use less than half the energy of fluorescent light bulbs and an impressive one-tenth of the power of incandescent bulbs, which are two of the most popular light sources in the U.S. today. Currently, businesses and consumers spend over $100 billion on light bulbs annually and around $600 billion to power them, but only a fraction of that energy goes into lighting the bulb. Far more is lost through heating the bulb itself, which is why traditional light bulbs are often too hot to touch. If everyone used LED bulbs in their homes and on the streets, the world would save approximately $540 billion on lighting every year. 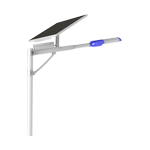 The average lifespan of an LED street lamp is around 10 years, so even this doesn’t last forever. Every light source fades out eventually, but LEDs have been proven to last at least 5-10 years, and that number is increasing all the time. By contrast, traditional sodium street lamps have to be replaced every 3-4 years, and they don’t improve over time. Making the switch to LEDs would result in significant savings on money and resources, especially in major cities. This is a common disadvantage of LED street lights, however, the LEDs used in street lamps are, in fact, safer than traditional bulbs because the blue light emitted can be minimized. While there is no evidence that blue LEDs are any more dangerous than any other blue light sources, there is proof that blue light in general (the type commonly used for backlighting TV screens) can lead to headaches, nausea and sleep disruption. This is because blue light lowers melatonin levels in the body, which can ultimately weaken the immune system and disturb circadian rhythms. However, the source of the blue light (whether it’s LED, incandescent or neon) doesn’t matter. Therefore, the effects of blue lighting is not an LED issue, but a lighting problem in general, and it’s one that many companies are addressing by limiting or eliminating blue lights entirely. Far from being the enemy, LEDs are a critical part of the solution. LEDs are a strange color? LED “temperatures” range from cool blue to warm candle-lit yellow and everything in-between. As natural daylight sits closer to blue-white on this spectrum, that’s what color your street lamps are likely to be. You probably won’t even notice this color change, but it will be kinder to your eyes and less disruptive to your sleep. 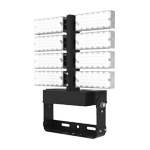 White LEDs also have a lower impact on wildlife, partly because they mimic natural light, but also because they don’t produce heat-emitting infrared or ultraviolet rays. This is why you’re less likely to spot moths and other insects gathering under LED lights – they are not drawn to them in the same way. • According to the EU’s new commission report in 2013, the deployment of LEDs in European cities could reduce overall energy consumption by 70%. • The Climate Group reports that 95% of cities in the U.S. that have implemented LED street lamps were completely satisfied with their performance. Moreover, these cities have saved almost 60% on residential lighting costs. In response, the European Union has set its countries a target to reduce energy consumed by general lighting by 20% by the year 2020. 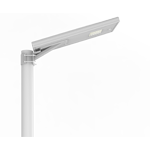 • LED street lamps can achieve up to 80% energy savings when used with smart controls. The benefits far outweigh any perceived disadvantages – particularly since many of their “flaws” are simply myths. Therefore, the question is not whether to adopt LED street lamps in your city or area; it’s when and how to make that critical transition.